air joe is proud to serve the Oakbrook Terrace community! We are proud to be a part of this community, serving your heating and air conditioning needs: air joe is listed in many directories under titles such as : Oakbrook Terrace Heating Contractors, Oakbrook Terrace Heating, Oakbrook Terrace Air Conditioning, Heating Repair, Air Conditioning Repair, Oakbrook Terrace Heating and Cooling Contractors, Rooftop HVAC Repair, Ductless AC Systems, Boiler Repair and Oakbrook Terrace Heating and Air Conditioning Contractors. We are here for you whether you need furnace or air conditioner repairs, heating and cooling estimates, equipment replacement or new installation of a furnace, air conditioner, heat pump, rooftop heating and cooling or comfort products to improve the air filtration for your home or business. About Oakbrook Terrace, IL - Happy to be your hometown Heating & Air Conditioning Contractor! Oakbrook Terrace is an Illinois village located in DuPage County, and as of 2012 the population as approximately 2,200. This Chicago suburb is also small geographically, as it only consists of 1.27 square miles of total area. Despite the modest population in this community, the Joint Commission and headquarters of Redbox are both located here. Oakbrook Terrace and the rest of the Chicago area are found within a humid continental climate zone, and while winters are snowy and cold, summers are humid and quite hot. Oakbrook Terrace is home to a couple of attractions that might appeal to residents and visitors. 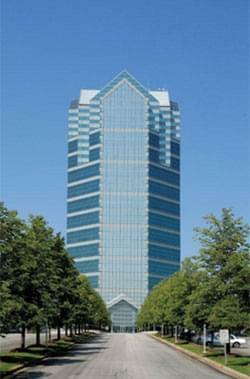 The Oakbrook Terrace Tower is the primary point of interest in the community, and it is the tallest building in the state outside of Chicago. Drury Lane is attached to the Oakbrook Terrace tower, and this theater also has a large banquet center that is great for events and conferences. The Graue Mill and Museum is also located in nearby Oak Brook.